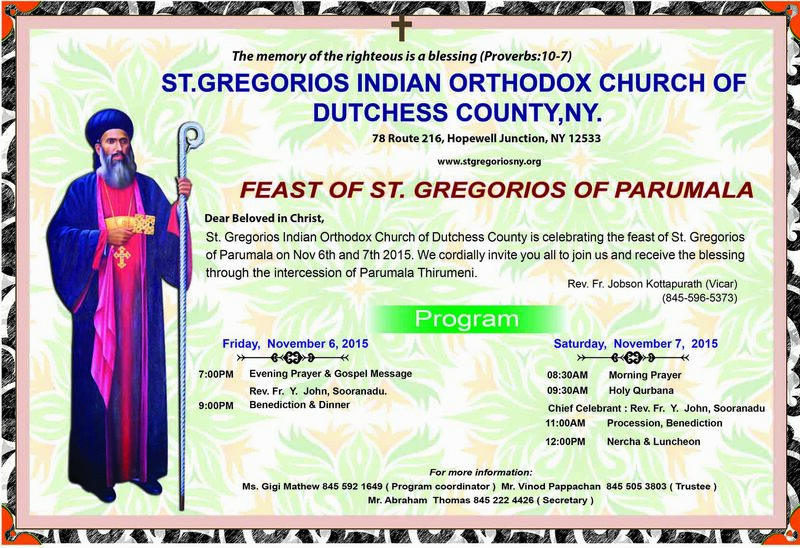 St. Gregorios Orthodox Church of Hopewell Junction, NY will be celebrating the feast day of St. Gregorios on Friday, November 6th to Saturday, November 7th. The main celebrant is Rev. Fr. Y. John Sooranadu.